My loyal readers can attest that I&apos;m a huge fan of Forever 21, especially when it comes to accessorizing. I figure that this way, I can save up for more classic staples and not feel bad about spending money on such trendy pieces. This works in theory, but I have yet to stick to a budget that allows for any extravagant purchases due to my lack of discipline. I think if I set my eye on the prize ahead of time, I&apos;ll make smarter decisions so that when it comes time to whip out my wallet, there will be no hesitations (or credit card debt). I&apos;ve included three shoes, all of which would play a pivotal part in my wardrobe, yet for entirely different reasons. 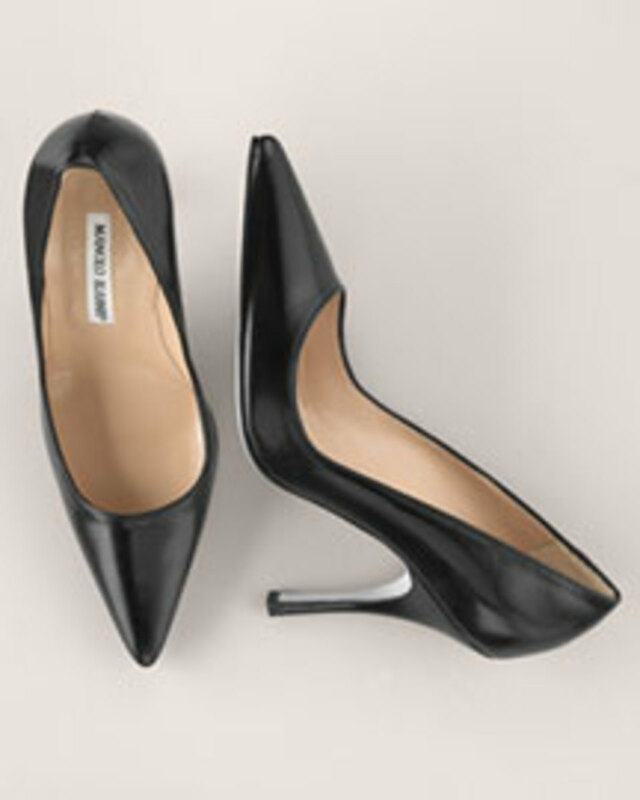 I&apos;ve picked a casual classic heel, a pair for work and then a great shoe for parties. I almost always opt for the cheaper alternative when it comes to ridiculously expensive shoes, but there&apos;s no denying the incredible construction of these Christian Louboutinsomewhere pumps. Even from Barney&apos;s website, you can clearly make out the rich, Nappa leather and its seductive curves. Plus, in a deep camel color, these would literally add some much needed inches to my legs and a dose of glamor to every outfit. My mom would seriously cringe if she read this, but for a pair of Manolos, this leather pump is relatively reasonable for $555. Whether worn with a pencil skirt or some dark denim, these would make the process of getting dressed for work all the more enjoyable. Carrie Bradshaw revolutionized the term &apos;strappy sandal,&apos; but I couldn&apos;t help but fall for these Pradascalloped peep toe pumps for my ideal evening shoe. They&apos;re sturdy enough to go dancing, but the delicate details at both the toe and the heel make these unbelievably feminine. What are your thoughts on breaking the bank for a pair of shoes?